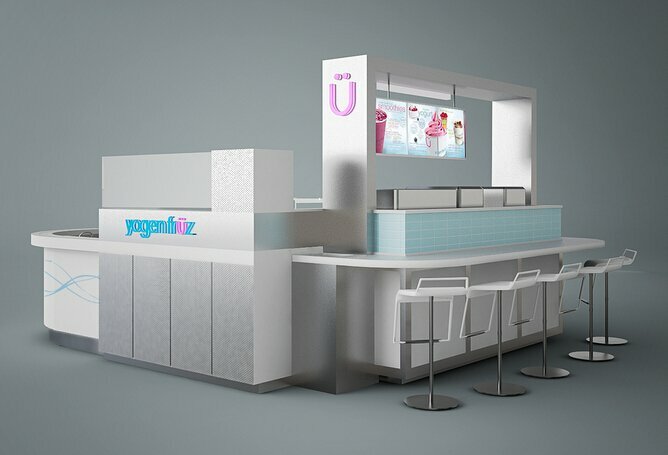 A nice designed food kiosk(frozen yogurt kiosk ) in mall is the key to business success . However find a design is easy , find a right design suit for your products are different. There are thousands of different food kiosk design all over the interest. 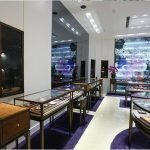 How to choose a right supplier with a perfect kiosk design ? 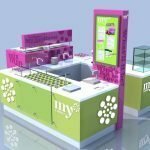 Today, I m going to share a Best seller froyo kiosk design for mall with affordable price . This is mall used frozen yogurt kiosk design. With a size of 4*3 meter , we only sell at 8800 Usd/set .Same size ice cream kiosk or bubble tea kiosk , we offer the same price. Because the kiosk will use for indoor mall ,So all the materials are fire-resistant . What’s more , we use all the wiring and electrical outlet with your local standards. 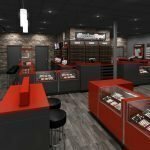 We can make sure the kiosk can pass mall criteria. On the other hand. We custom the mall used froyo kiosk exact for you and only for you. The most most most important it our price is very low compare to your local manufacturer. Why your price is low , are you using rubbish material to build my kiosk ? No,No,No. Definitely not. We can offer lower price main reason is our factory based in China. We have lower labor cost and lower material cost . Even management and sales cost are lower. So we can offer our customer a best price for you nice kiosk. 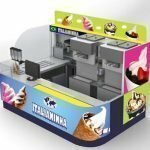 Want to get more frozen kiosk design or get latest price of our kiosk , Feel free to contact us.